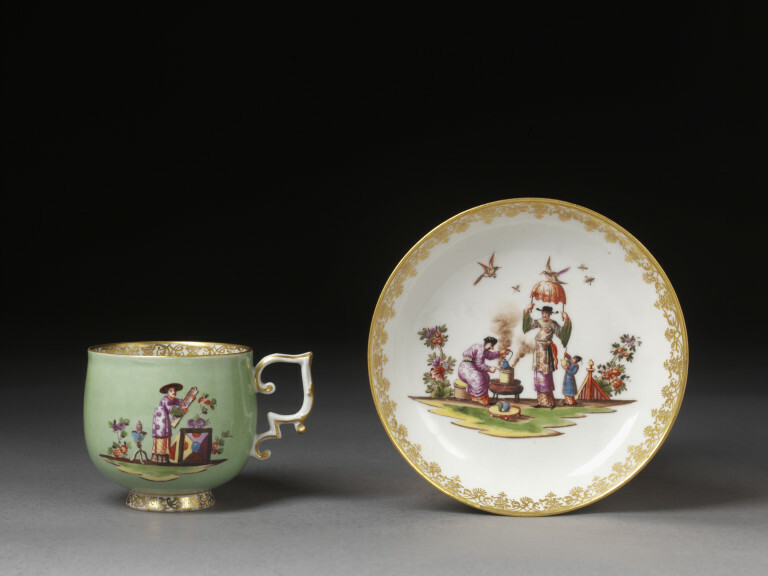 Cup and saucer of hard-paste porcelain. Beaker-shape cup tapering towards rim, high footring; scrolled handle with added angle. 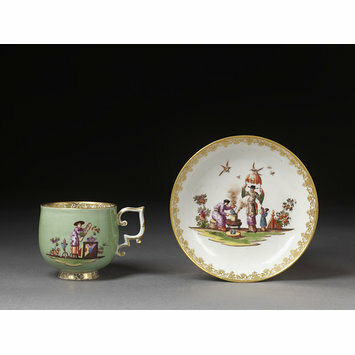 Sea-green ground with reserved chinoiseries on the cup and saucer outside. On the saucer inside a larger chinoiserie. Bands of gold lace on footring and inside rims.